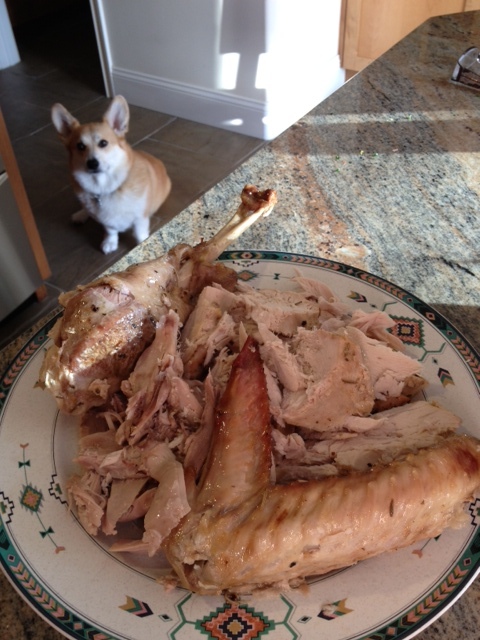 Corgis & Turkey — I’m thankful for that! On Thanksgiving, the focus is on acknowledging what we’re grateful for (okay, and on food and football) — it’s family, friends, loved ones, our health, and so on. We start saying our thanks out loud around the table from an early age, right before we begin the big meal, and into adulthood, the ritual continues, although now the list of things we’re grateful for isn’t just spoken within the intimacy of our homes, it’s out in public for the world to see, on Twitter and Facebook, and in blogs like this (as I write this, I see the hashtag #WhyImThankful on the screen during the National Dog Show). As the holiday season officially kicks off today, so does a season of giving thanks and showing our gratitude, generosity, and love. In fact, there is now a nationwide movement to celebrate it even more, called Giving Tuesday, happening for the first time on November 27. Although we have a holiday all about giving thanks in America, we’re seeing a concerted effort to acknowledge our gratitude year-round, not just on one day, but every day. The concept of gratitude journals has become a common way for people to show thanks, for the big things, the little things, and those in between. Everyone from Oprah to therapists are encouraging our pursuit of happiness and sense of content by writing down one thing or a few things each day that we’re grateful for, whether it’s for a delicious meal, a good day at work, a healthy prognosis at the doctor’s office, or new-found love. So in addition to the thanks I gave today with my family around the dinner table, here’s a peek at the things I’ve been jotting down in my own gratitude journal…what’s in yours?